With twelve shades of colour and flickering or solid light options, these LED candles make a stunning room decoration filling your space with colourful light. 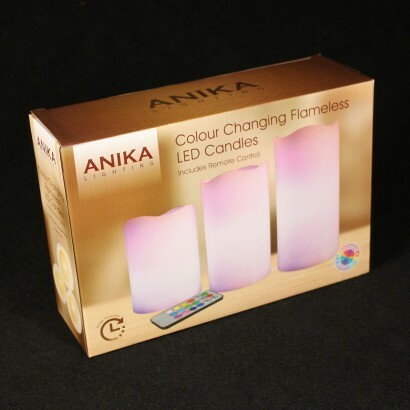 Set to colour change or hold on static colour for atmospheric light that reflects your mood. 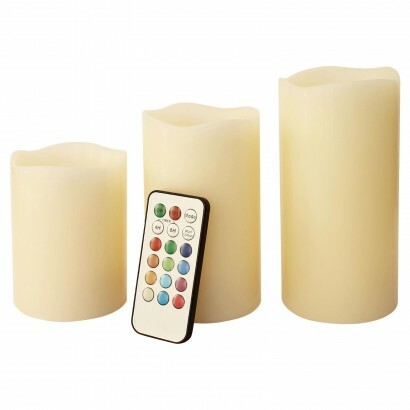 Ideal for cosy nights in or as a table decoration, this colourful candle set is made from real wax and so looks just like the real thing and with a timer function that can be set to 4 hours or 8 hours, they're ideal for use as a night light or even as a security light too!